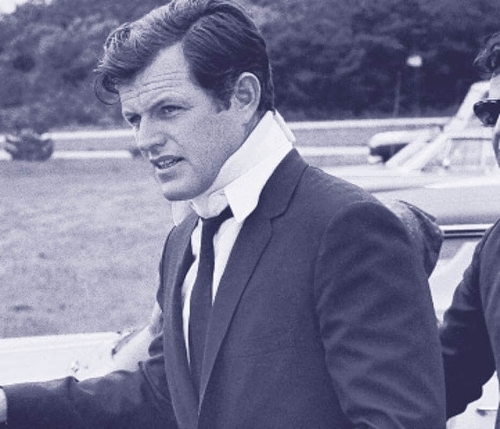 One year after Mary Jo Kopechne met her end, "only the principal players and a handful of off-stage character actors know what really happened that moonless midnight at Dike Bridge when Kennedy's 1967 Oldsmobile 88 sedan shot off a 20 year-old wooden bridge and flipped upside down into Poucha Pond. As the whole world knows, the accident was the aftermath of a beach party the night of July 18, 1969, attended by the senator, four of his cronies and six of the Kennedy 'boiler room girls'... The five [surviving] young women, who until Mary Jo's death, led cheerful, ordinary lives, appear to have been caught in an undertow of mysterious intrigue. Their utterances, once theirs to toss to the four winds, have been silenced by the almighty hand of somebody Down There." "[The] 'Boiler Room' gals did nothing to explain how her daughter ended up in Kennedy’s car." The attached article tracked the whereabouts of these five former campaign workers - wondering why haven't they said one word about the night their colleague died.